A customer wanted to publish an internal hosted IIS 7.0 website to the outside world through a Netscaler 10.5. I configured the server, services and Virtual Server objects in the Netscaler interface. So far so good. The IIS server still had to be configured with the website, so till that time the default website showed with no problems. Untill the the supplier of the website installed the website. From that moment on the services object state on the Netscaler went down. 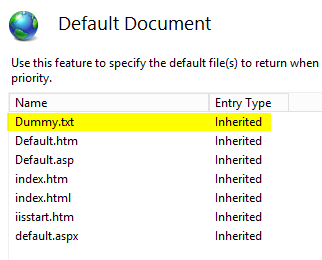 After a long troubleshooting session I found that the newly installed website didn’t contain a default document in the root of the website. Were as the Default Web Site does contain an IISStart.htm, this website didn’t for some reason. So I added a dummy.txt in the root of the website, added the same dummy.txt to the default documents of the IIS webserver and after a refresh on the Netscaler, the service came back online. 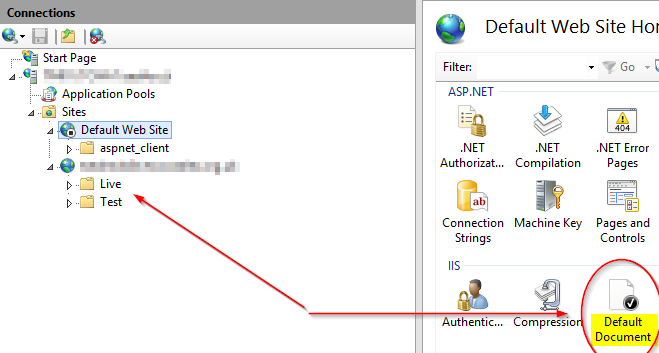 I would like to implement the same: Publish an internal IIS site to external through NetScaler. Do you have a detailed descrition of this? Check/search for Carl Stallhood website. He’s got procedures for virtually every config for NetScaler.